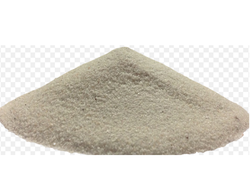 Manufacturer of a wide range of products which include silica sand, white silica sand, dust free silica sand, foundry silica sand and ferro silico calcium. We offer our clients an optimum quality Silica Sand which are processed using the best grade silica & other light material and advanced formulation techniques in compliance with the set industry standards. Owing to its high effectiveness and exact composition, this sand is widely demanded among our clients. We are the largest manufacturer of White silica sand. can supply in any grade and silica purity up to 99.99%. We offer our clients an optimum quality Dust Free Silica Sand which are processed using the best grade silica & other light material and advanced formulation techniques in compliance with the set industry standards. Owing to its high effectiveness and exact composition, this sand is widely demanded among our clients. The silica sand for glass (with Silica powder), also known as quartz sand.It is a hard, wear-resistant, chemical stability of minerals, the main mineral component is quartz, the main chemical ingredient is SiO2, the color of the powder is white or colorless. 1) High quality and purity, anti-corrosive, anti-acid and anti-alkali. 2) Competitive price.we have our own silica stone mining.Promise best price with good quality. 3) Various sizes. all kinds of silica sand sizes are available according to your requirements. 1.Widely used for producing optical glass. 3.Metallurgy, ceramic, foundry and abrasives etc. We are engaged in fulfilling the diverse requirements of clients by offering an optimum quality Ferro Silico Calcium. The provided product is widely used as a deoxidizer in the manufacturing of steel. The offered product is finely processed by proper heating of ferrous and manganese oxide in blast furnace under the stern vigilance of our deft professionals. This product can be availed by our clients at the most economical price.